We envy Burt Reynolds, racing across the country in his Trans Am without a care in the world. 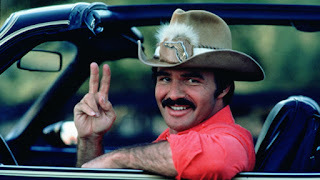 The trouble is, modern life isn't quite so carefree anymore - today Burt would be completing his road trip in a Prius and all references to Smokey would be removed. And yet, we all need a bit of Burt's joie de vivre in our lives, even in today's straightened times. Hence our road trips. They've been hugely popular because they're all about hitting the road for the sheer fun of it. And, you'll be glad to learn, no moustache is required. So popular have they proved, in fact, that we're now introducing a half day version. The same simple idea - hit the road in a range of classics - but over four hours instead of the full eight. Our half day road trips are designed to suit enthusiasts who have less time to spare and want to spend less money on the experience. Prices start at just £149 for drivers and £225 for our popular Driver+Passenger combination, which are ideal gifts to share. That includes the chance to drive three classic cars - including Jaguar E Type and Mk2, Triumph TR6 and Austin Healey - plus refreshments, fuel and insurance are all included. Places are strictly limited to 10 people per event. 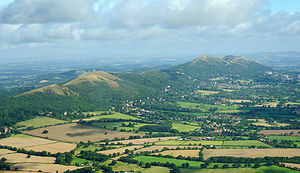 There are two new half day routes available - the Cotswolds Circuit and the Malvern Loop. You can book online or call 01527 893733 to find out more. Vouchers are available for our half day tours online or by phone and are valid for a full 12 months. To find out more click here or call 01527 893733.